>Don’t let him hang out with the full sized whales. We want to keep his confidence up! >This little guy has a lot of personality. I love his smile! >This is a cute little thing, but the teeth look awesome. >Thanks!! I worked on this over the course of 2 days… I think it took me approx. 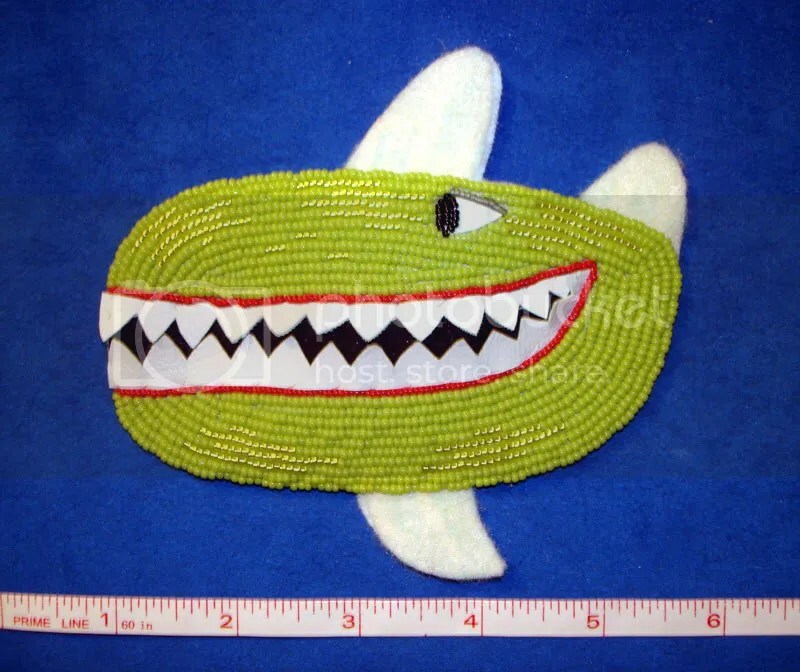 5 hours to stitch on the green beads…And, I still have to do his fins. He does look like a lima bean, now that you mention it, Corky. LOL! >Aww what a little cutie, LB! >Awww… The World’s Smallest Whale happens to be the World’s Cutest one! >Oooo, he’s so cute!! How long does it take you to make it? Gosh, I can’t see the tiny beads if I were to do this! !